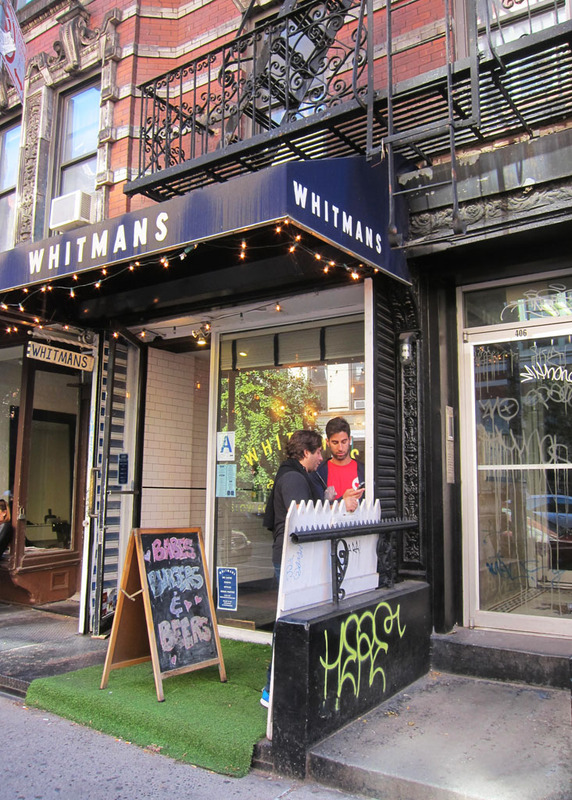 Without a doubt, Whitmans have the best burgers in New York City! They’re juicy (without being greasy), flavourful (without being overpowering) and the toppings are plentiful and delicious. 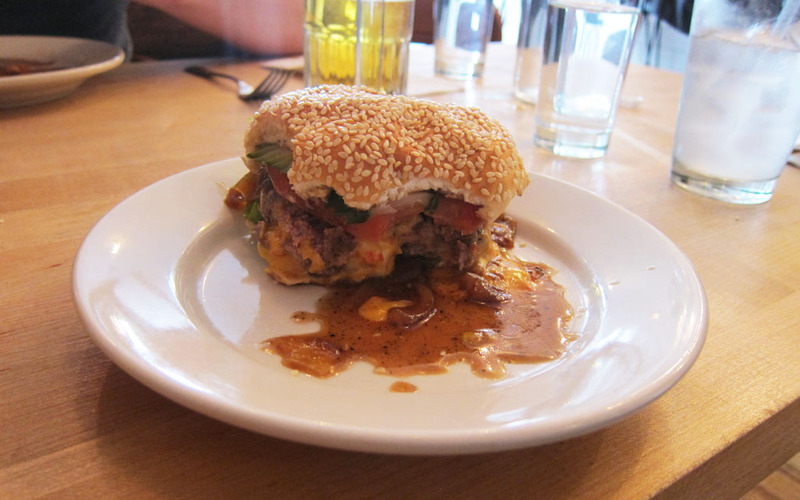 There are a variety of burgers to choose from including a Peanut Butter and Bacon Burger! 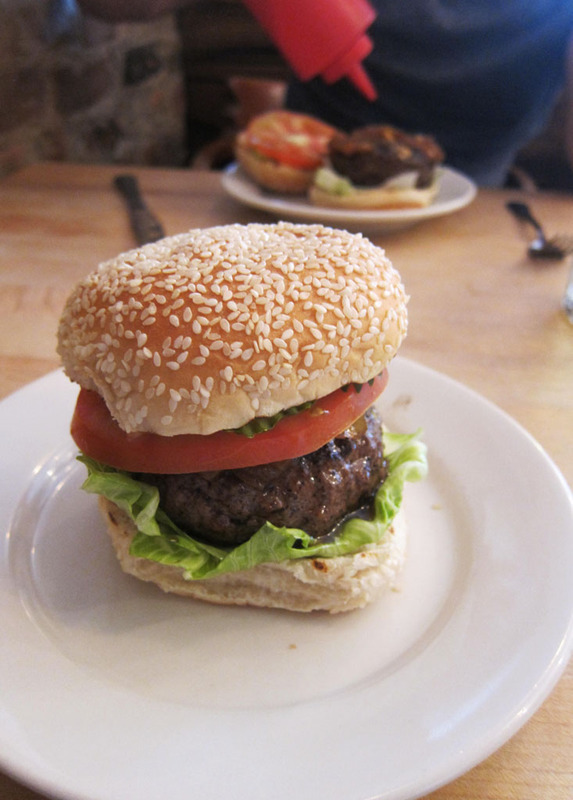 However, I don’t think a visit to Whitmans would be complete without trying the joints most popular burger – the ‘Juicy Lucy’ ($10). A dripping burger stuffed with pimento cheese that oozes with every bite; the ‘Juicy Lucy’ really is as good as the wait staff say it is. Finger lickin’ good in fact! And when paired with a bowl of homemade organic sweet potato fries ($5), it truly is a winning combination! The menu even features milk and cookies for dessert, which are made fresh to order and are utterly divine. Whitmans is a great place for lunch or dinner. And while you can take away, I recommend eating in as the atmosphere created by the decor (Manhattan chic meets country abode) is so warm and cosy. Seriously, this place is amazing and has Dannii written all over it! Finally went there tonight! Yum!